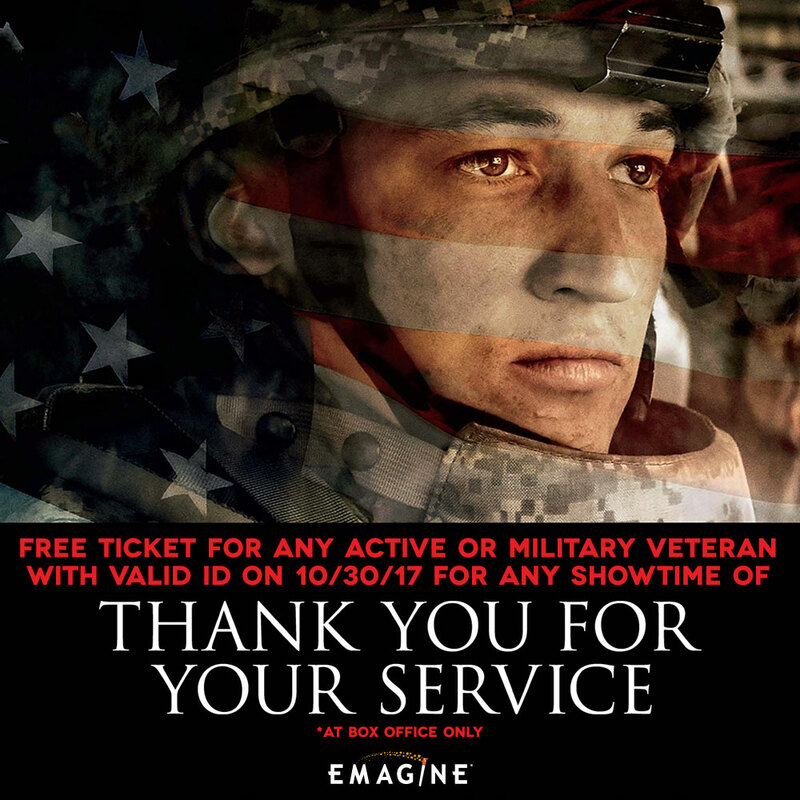 Emagine Theatres is giving away free tickets to “Thank You For Your Service” to all active or military veterans with a valid ID. “Thank You for Your Service” is a movie about a group of U.S. soldiers returning from Iraq struggle to integrate back into family and civilian life, while living with the memory of a war far away. This FREE ticket giveaway happens All day Monday, October 30th, 2017 at all 17 Emagine Theatres locations including Birch Run, Birmingham Palladium, Canton, Macomb, Novi, Saline, Rochester Hills and Royal Oak in Michigan. The promotion provides one ticket per qualifying guest and is limited to theatre capacity. The transaction can only be completed at the box office and not online or through Emagine Theatres’ app.